When it comes to the federal Family and Medical Leave Act ("FMLA"), employers have long known that the devil is in the details. At its core, the FMLA requires covered employers to provide leave rights to eligible employees for qualifying reasons. This seems like a simple premise until you begin to unpack each of the terms in that sentence. For example, a "covered employer" is one who has 50 or more employees in 20 or more workweeks in the current or preceding calendar year. A straightforward proposition…unless of course employees are leased or assigned to another employer such that both companies are considered "joint employers." In that scenario, the jointly employed employees must be counted by BOTH employers when determining FMLA coverage and eligibility rights. "Eligible employees" are those who have worked for a covered employer for at least 12 months, with at least 1,250 hours in the immediately preceding 12-month period, AND at a location where the employer has at least 50 employees within 75 miles. And qualifying leave? That of course means the right to take up to 12 workweeks of leave in a 12-month period (which could be the calendar year, a specified set 12-month period such as a company’s fiscal year, or a "rolling" year that looks at the 12 immediately preceding months from any given day) for any of the following reasons: (1) the birth of a child or placement of a child with the employee for adoption or foster care, (2) to care for a spouse, child, or parent with a serious health condition, (3) for the employee’s own serious health condition that prevents them performing the essential functions of their job, or (4) for a qualifying exigency arising out of the fact that the employee’s spouse, child, or parent is a military member on covered active duty or a call to covered active duty. In addition, the FMLA provides a further right to take up to 26 workweeks of leave for an employee to care for a spouse, child, or parent who is a covered military servicemember that suffers a serious injury or illness. Those are just the definitions, to say nothing of the various intricacies of administering the FMLA in practice. From intermittent leave to notice requirements, the statute is enough to make even an experienced HR professional’s head spin. Amidst this ocean of gray, one adage has remained clear: employers can always be more generous to employees than what is allowed by the FMLA. However, a recently issued opinion letter from the Department of Labor ("DOL") has placed limits on even this premise. A pregnant employee who is eligible for FMLA leave reaches out to her employer in January to let the company know she will be using all 12 weeks of her FMLA-covered leave in June following the birth of her child. However, in March, the employee learns that her father is very ill and will need a few weeks of care. After explaining the situation, her employer is understanding and tells her that she can simply use her accrued PTO to cover the time off to care for her father while retaining her FMLA rights to use later in the year. Despite knowing that the earlier leave is for an FMLA-qualifying reason, the employer is trying to be more generous to ensure that the employee gets the time off she has requested later in the year. According to the DOL, the employer’s considerate position in the above example could actually constitute interference with the employee’s FMLA rights. Instead, the DOL’s position in its recent opinion letter is that, "[o]nce an eligible employee communicates a need to take leave for an FMLA-qualifying reason, neither the employee nor the employer may decline FMLA protection for that leave." Once that determination has been made, the employer is obligated to provide the applicable notice and count such leave toward the employee’s FMLA leave entitlement. In effect, an employer may not delay offering FMLA leave in an attempt to be nice to an employee by allowing them to use other types of leave first. Further, the opinion letter goes on to state that,"[a]n employer is also prohibited from designating more than 12 weeks of leave (or 26 weeks of military caregiver leave) as FMLA leave." The letter clarifies that if a plan or program is in place that provides greater family or medical leave rights to employees than the FMLA, those rights must be recognized. But any such extended or additional leave rights will not carry the protections included under the FMLA once an employee’s FMLA leave entitlement has been exhausted. Ultimately, opinion letters are just that: the opinion of the DOL on how the FMLA should be construed and will be interpreted by the agency in a given set of circumstances. The opinion letter is not binding on courts that are reviewing FMLA rights and/or claims asserted by employees. However, the guidance is helpful to understand how the DOL views various statutory rights such as the leave entitlement provided under the FMLA. In this particular case, the take-away for employers is an interesting refinement of the seemingly established adage for FMLA rights: You can always be more generous than what the FMLA provides…as long as you don’t delay in applying FMLA. 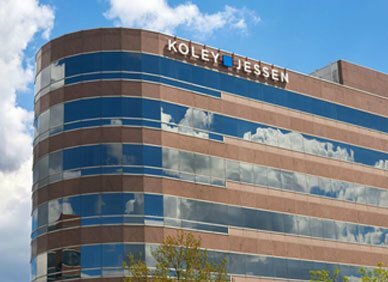 For answers to all of your questions regarding the nuances of the FMLA and other employment laws, contact a member of Koley Jessen’s Employment, Labor and Benefits Practice Group.